The PPS-250 Packet Placing System is manufactured by GGA Packaging. 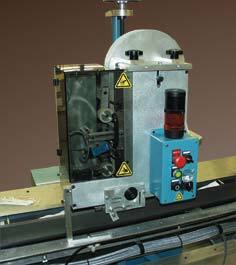 The PPS-250 Packet Placing System employs a servomotor with positioning determined by the electric eye, to mark frequency of the printed stream of continuous packeted product. The system cuts and places the packet in the appropriate position determined by the customer requirement. The precision accuracy prevents product damage such as cutting out of position.